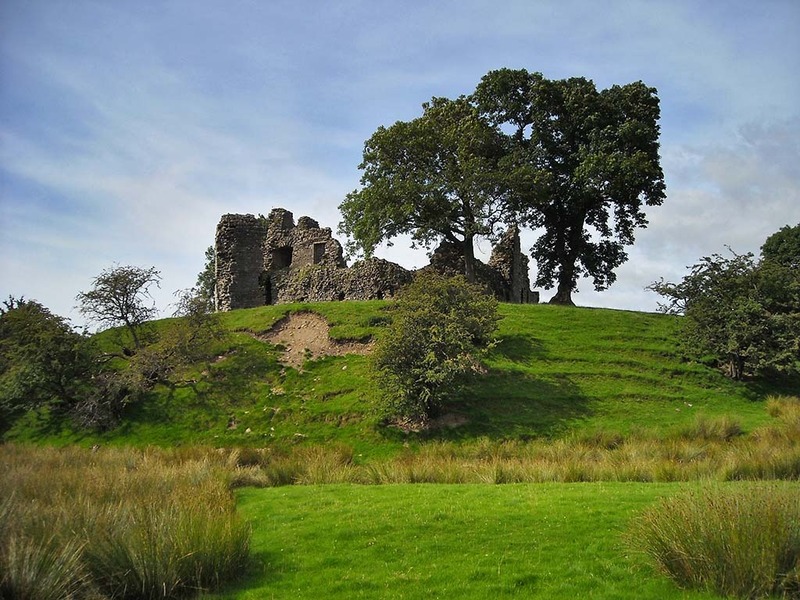 Helen and I went out yesterday on a short run to find Pendragon Castle near to Kirkby Stephen. We left home just after 12:00pm and headed up the M66/A56 towards Clitheroe. In Simonstone we turned right and went through Sabden and over Pendleton Moor and then into Clitheroe. We took the B6478 out of Clitheroe through Waddington and on to Newton. We turned left in Newton and headed over to Dunsop Bridge, where we joined the road through the Trough of Bowland to Quernmore. We turned right at Quernmore and headed over to Caton. At Caton we joined the A683 and took that all the way to Devils Bridge, where we stopped for a spot of lunch. We left Devils Bridge on the A683 towards Sedburgh. At Sedburgh we continued on the A683 heading towards Kirkby Stephen. Just before we got to Kirkby Stephen we turned off the A683 and joined Tommy Road which cut across Wharton Fell. 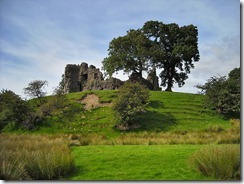 At the point where Tommy Road meets the B6259 just North of Outhgill is Pendragon Castle. After a brief visit of Pendragon Castle we joined the B6259 and headed South to the Moorcock Inn. We then joined the A684 to Hawes where we took the B6255 to Ribblehead Viaduct. We then turned left onto the B6479 and headed down to Settle. We stopped in Settle for a much needed brew and cake. We left Settle and headed home via Rathmell, Wigglesworth and Sawley. We then joined the A59 back to Clitheroe and then retraced our previous route back home.